Pedaltrain nano + plus with Soft Case <strong>Pedalboard with soft case included.</strong> If you need a custom hard case designed to meet any requirement, please <a href="https://stompin-ground.com/information/contact/">contact us</a> - We can make a custom case for any pedalboard or other need. Pedalboard with soft case included. If you need a custom hard case designed to meet any requirement, please contact us - We can make a custom case for any pedalboard or other need. nano + Don?t let it's small size fool you. The Nano+ is the foundation of some very powerful rigs. 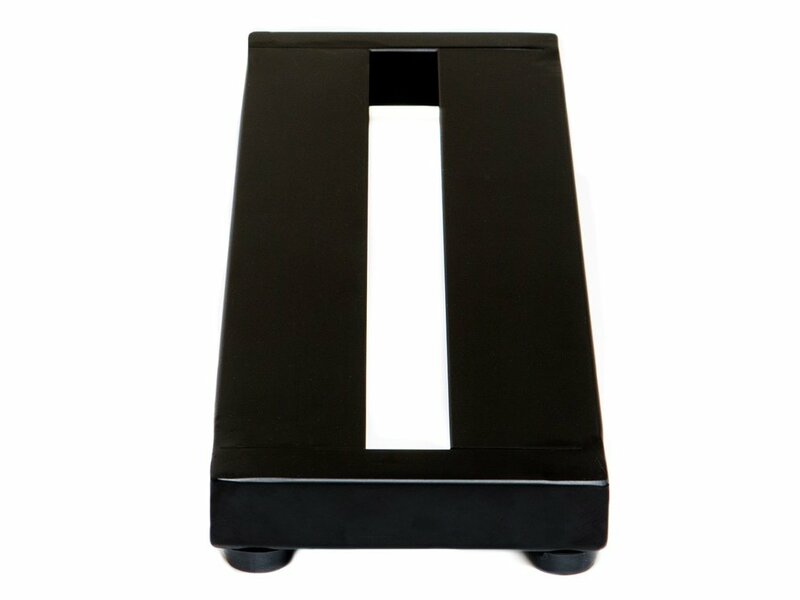 It's Pedaltrain's only two-rail pedal board and is ultra-compact and portable. Nano+ is similar to its little brother, Nano, but with 4 inches more space and features Pedaltrain's new modified rail spacing. Even the smallest pedals grab hold of Nano+ and will not let go. 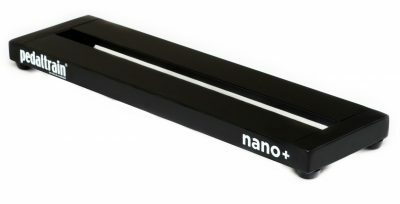 Nano+ includes 36 inches of Pedaltrain's professional grade hook-and-loop pedal fastener material and plenty of zip ties for securing cables. 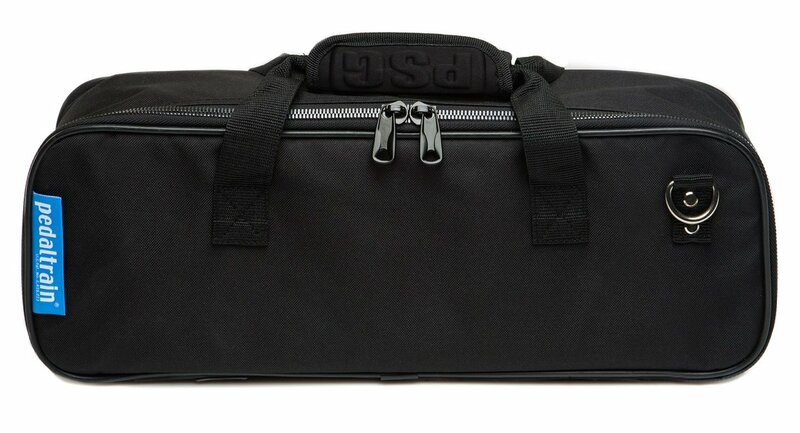 Also included is the new redesigned fitted soft case featuring a heavy-duty metal zipper and reinforced stress points.